So after a summer of brinkmanship between Newcastle, Liverpool and West Ham, Andy Carroll signs for The Hammers on a season-long loan deal. Whatever your own opinion as to whether we should have tried to sign him or not, the fact remains that NEWLY PROMOTED WEST HAM have signed a current England striker on loan – this is a player who moved from one club to another for (an admittedly inflated) £35 million only 18 months ago – yes there is probably a fairly hefty loan fee involved and they will be paying him massive wages but Alan Pardew has repeatedly said he would love to have him back in his squad and that any deal was at board level above him. Obviously the board have let him down yet again – yet another in a long line of supposed transfer targets that has failed to materialise. We have absolutely no cover (except Shola who is currently injured) for our front two, with at least the extra 6 Europa league games to come (although after last night’s draw probably only one game in the re-branded League Cup). Less than 10 hours to go in the transfer window and we have spent approximately £4 million net over the summer to bring in one current Dutch international and a young Frenchman who may well turn out to be a fine player in the future but who only started on the bench against Atromitos – not even deemed good enough for a reserve team? 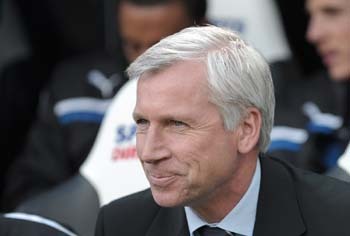 Alan Pardew must be absolutely sick of putting on a brave face to stand in front of the media and try and defend policy decisions that are completely at odds with a football club that is trying to be successful. 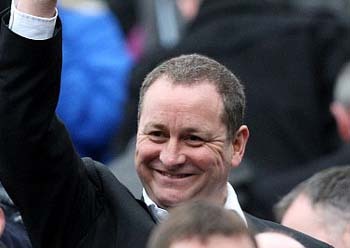 After a brief period of actually agreeing with some of Ashley’s policies of not paying over the odds for has-beens, not paying out massive wages and trying to bring through good youth players, I find myself once again sadly disillusioned – I thought the idea was to try and build on last season’s excellent finish and get into a Champions League place? Unfortunately, there is no way that is going to happen with the current squad unless a miracle happens before 23:00 on Friday. Some decent midfield players with a bit of cover, although nobody who can put anything resembling a decent cross in – little or no cover in defence , especially the centre halves, and no cover up front. 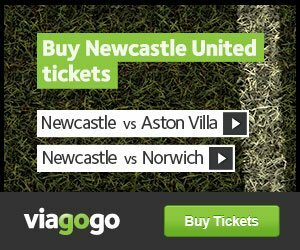 Clean sheets are great but it’s a well known fact that goals win you games and the striker situation is frightening – we have 18 league games and at least 7 cup games before the transfer window opens again – assuming they manage to stay fit, Ba and Cisse will be off to Africa in January for a month if they beat Cheick Tiote’s Ivory Coast. We’d be down to a possibly fit Shola and a local 17 yr old who may or may not be the next Michael Owen – I know where my money is. Newly promoted West Ham have shelled out almost £20 million this summer as well as taking Andy C on loan – whatever you think of the spivs who run the club at least they are backing their manager – Big Sam was absolutely dire for us but his overall track record is fairly steady – you can guarantee that Andy Carroll will become the attacking focus of the team and they will utilise his strengths to the full – it may not be pretty to watch but I’ll stake my life savings that it will keep them up, even if they can’t defend very well. The club hierarchy has spent the entire close season making noises that we are attempting to get into the Champions League (but that’s never, ever going to happen on the budget we have at present). Prize money for finishing 5th last season and substantial TV money for the season – It looks like Ashley is clawing back a substantial lump of the money he has invested in the club and leaving the manager to fight a battle on several fronts with a diminished squad – Alan Pardew will be on decent money by our standards (although incredibly low by Premier League standards) but he really should tell Ashley to back him properly or shove the job – after last season’s results and accolades he could walk into another job with a team at the higher reaches of the Premier League without too much bother. I started last season with no expectation whatsoever and along with many others was surprised, thrilled, excited in various measures during a rollercoaster season which gave me great hope for this year – I’m sure lots of other felt the same way as the crowd for the Spurs game was 4 short of the capacity for the current stadium configuration – unfortunately my expectation has once again hit rock bottom and I’m sad to say it but I’m probably more depressed than I was when we went down! Sunderland may well have paid over the odds for Steven Fletcher and Adam Johnson but it’s another example of the club owners backing their manager and trying to move forward. Everton, Liverpool, Fulham etc – all clubs we finished streets ahead of last season are improving their squads while we sit around increasing the bank balance. It pains me to say it but mid-table appears the best we can hope for and even that may be out of reach. Life, and football in particular, is just not fair. If you would like to feature like Rob on our/your website, get writing, ‘The Blog’ is where we profile contributions from anybody who has something to say. Send in your your opinions/hopes/fears/articles and we’ll put them up on the website for everybody to enjoy.